Digital strategy creation requires some steps like customer personas, customer journeys, content and service mappings,… etc. And, each of these items are very important components of having a realistic digital strategy. Digital strategy creation requires some prerequisites like customer personas, customer journey mappings,… etc. 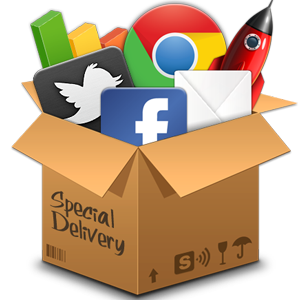 And, each of these items are very important components of having a realistic digital strategy. Let’ s focus on customer journeys and their importance in digital marketing strategy creation process. Customer journeys simply tell us where are our customers today (Point A) and where they should be in the future (Point B). And, all the efforts behind your digital marketing strategy are basically to identify what are the right things to do to move your customers from Point A to Point B. So, knowing your exact road map will make the things easier and clear while planning and executing the next steps including content mappings, digital tactics planning and executions, …etc. And, customer journeys are also pre-requisites of digital tactics planning and execution process. Once you’ ll have your customer journey in place, then, you can start content & service mappings on top of the journey and can identify the digital tactics around each step. Customer journeys are natural parts of the digital marketing strategy creation process. Without having a customer journey means you may not have clear understanding of the marketing objectives or not able to reflect them in your digital marketing strategy properly. Previous Do We Need Advanced Technology to Have a Digital Strategy ? Next Where to start for creating Digital Strategy ?